Why does Rob Pincus prefer a blacked-out rear sight on a defensive pistol? And what combination of front and rear sights does he believe is the best? The most important thing you need to focus on if you reach a level of precision where you need sighted fire is the front sight. 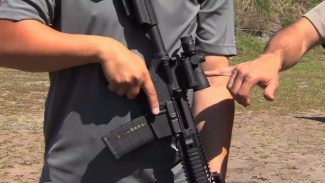 Rob doesn’t want to have any references on the rear sight relative to the front sight that are going to cause him to want to shift his focus back to the rear sight. He wants the focal plane very specifically on the front sight. What he is looking for is the sharp, crisp edges of the front sight to be lined up with the top and sides of the rear sight. 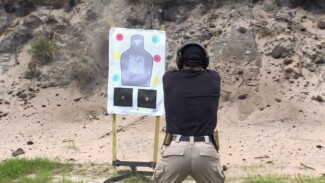 Remember that when using self-defense weapons in an actual defensive shooting, we have to be very careful to be aware of where the target is behind the front sight. When shooting at paper or steel, you can almost ignore it. You see it, you know it’s there, you drive the pistol out and then you can bounce back and forth between the front and rear sights because you’re not as worried about the target. 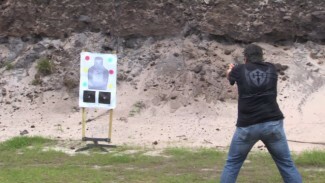 This is because when doing handgun training or practice, the target rarely moves. In a defensive shooting, the target most likely will be moving. Rob likes a blacked-out plain rear notch sight and even a wide rear sight like the Glock 48 he has in this video. He has added a claw rear sight to it and that’s a blacked-out rear sight. He has left the factory front circle on the front. He also shows a Glock 43 that he has flipped the factory sight around so it is facing in the opposite direction. So with any handgun that will allow you to flip the sight, there is no need to buy aftermarket sights. 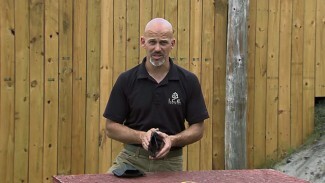 Rob has much more advice about front and rear sights, so be sure to watch the entire video!